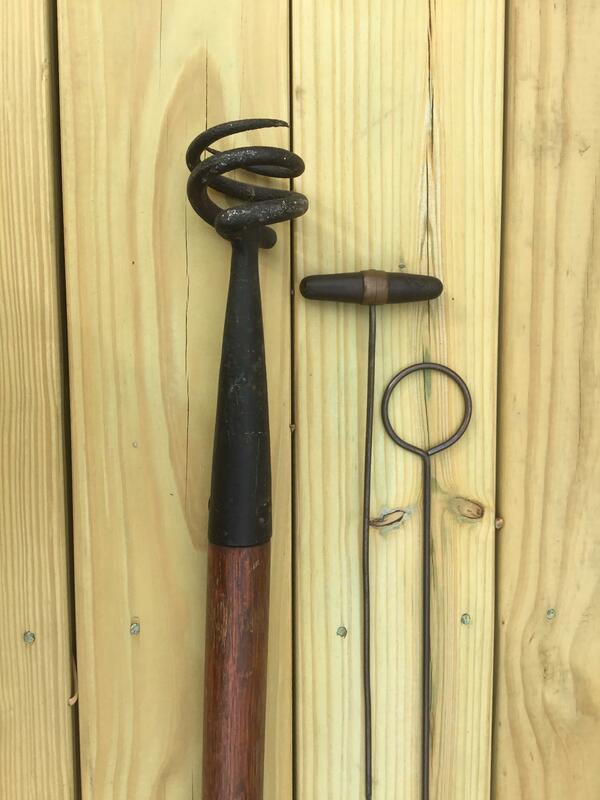 New, Just About 7 foot In Length Cannon Worm, Used To Pull Burning Powder Bags Out Of The Cannon, Wood And Iron Are In Excellent Condition. Will Not Mail So Local Or Show Pick Up. Theere Are 2 Cannon Vent Picks That Are For Sale As Well. 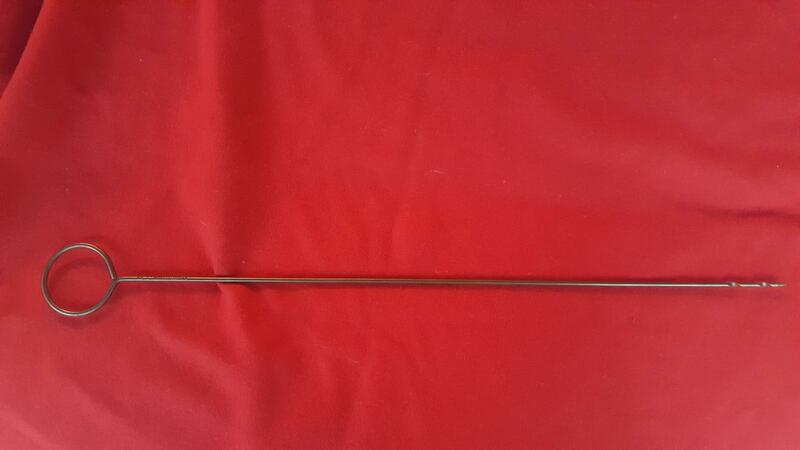 The Longer One With Circular Handle & Marked. 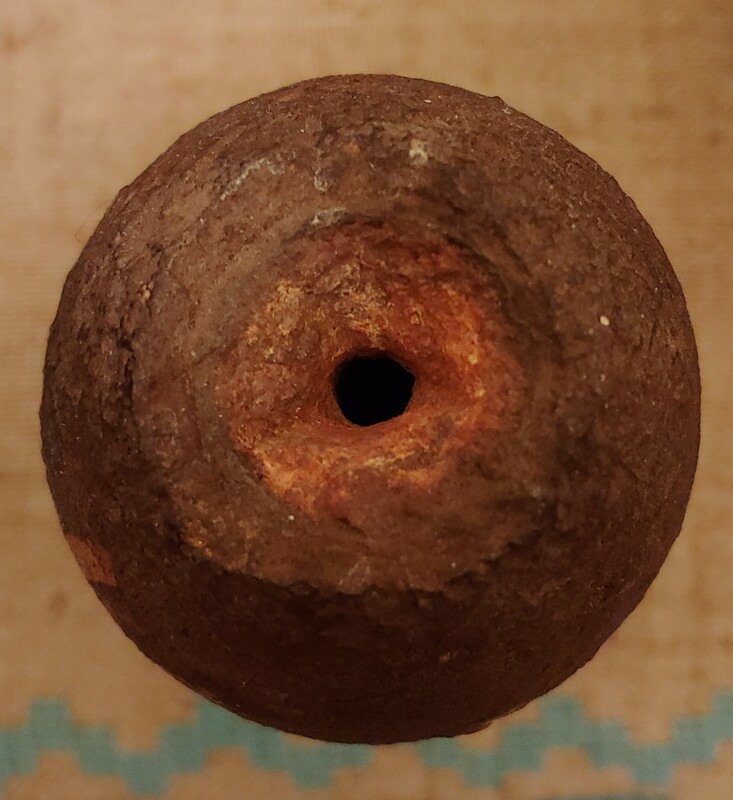 New, 4 Lb Rev War Solid Shot In Excellent Condition, Iron Is In Amazing Condition And Will Display Wonderfully With The Best Of Artillery Projectiles. 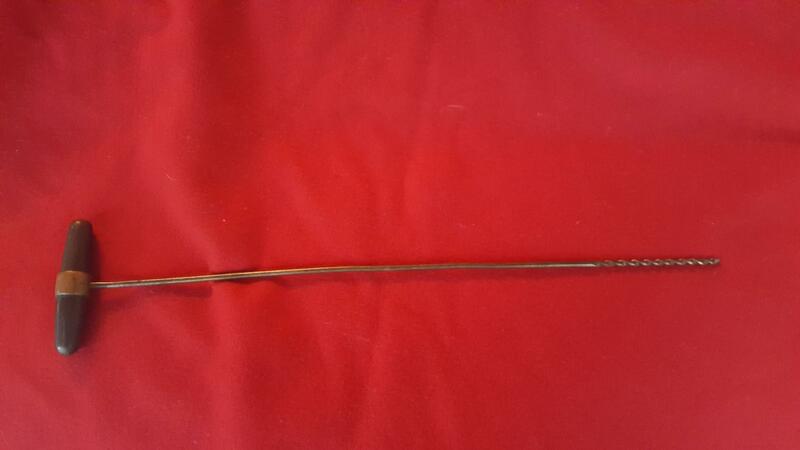 New, Artillery Vent Pick In Excellent Condition, Not 100% Sure But There Is An H Inscribed In The Wood Handle. 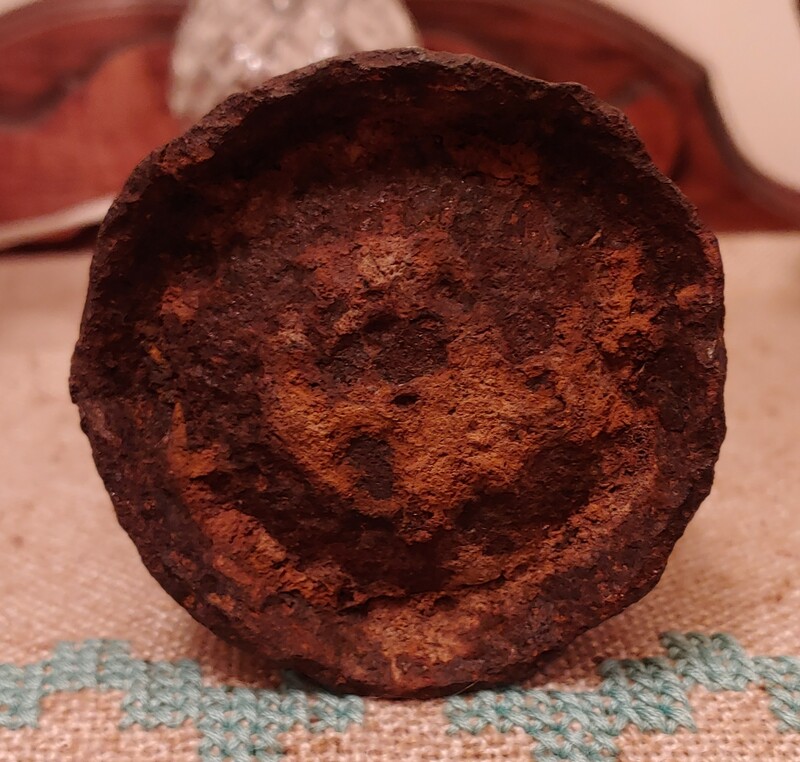 New, Artillery Vent Pick, Excellent Condition. Excellent Display. New, 12 Lb Confederate Shell In Excellent Condition, Iron Is Smooth, Wood Drive Fuse MIA. Excellent Confederate Shell. New, 2.9" 10 Lb Parrott Shell Recovered Spotsylvania, Va, Light Surface Rust, Ready For Display, Shell Has Been Dis Armed.